Sørbotn, the far end of Ramfjorden in Tromsø municipality, Troms, Norway in 2011 October. Photo by Ximonic (Simo Räsänen). Oh Norway, land of the midnight sun. This is the place to go when the world’s drudgery stifles you… when the world just… sticks to your skin. 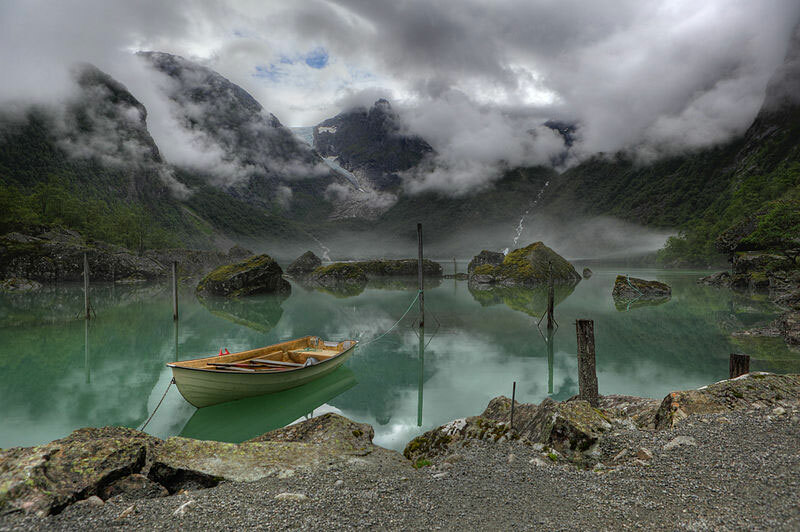 In Norway, the sky feels a million miles away. The air is crisper, cleaner. Sparkling. I spent a weekend in Stavanger, Norway in 1998, where I pitched our way to first place in our softball championship. I remember just breathing, breathing, breathing as deeply as possible. That air – I will always remember it. A view at the coast of Skibotn, Norway. Photo by Ximonic, Simo Räsänen. The fjords seemed to know what I was experiencing; these bohemouth rock walls scraped up into the sky as if they wanted to stretch into the beauty themselves – to become a part of the crystalline air. This was a high school trip so there was also the standard curious experience. Like the odd coincidence that we arrived in late spring when the whole town (or so it seemed) was tipsy. Stumbling, bumbling, tipsy. If I remember correctly, we were told this was a standard part of graduation festivities. I do believe I saw a few bare bottoms courageously rushing through the chilly spring air in search of what , I’m not sure. Something was mentioned about completing silly challenges in order to obtain little tokens that, once earned, were added to graduation caps. The memory is fuzzy, but pleasant enough. Hopefully some Norwegians can weigh in and tell me what exactly I experienced that weekend. It tastes like you used to imagine butter would tasted back when you were 5 years old and you pretended you were Amish and had an imaginary butter churner. 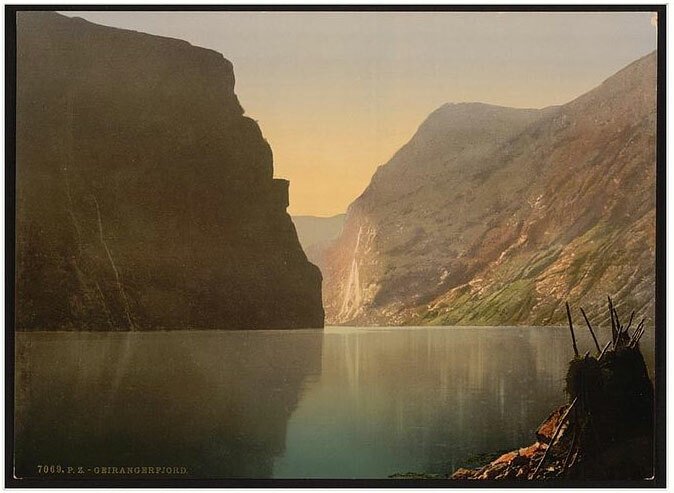 A view of Lake Bondhus in Norway, and in the background of the Bondhus Glacier, part of the Folgefonna Glacier. Photo Alchemist-hp. Seafood doesn’t begin and end with salmon, however. Cod is a mainstay, and served any number of ways including “tørrfisk” – dried codfish, or Lutefisk which is commonly made with cod dried and steeped in lye. Potatoes seem to be the go-to side, which is fine by me! Although it’s not the perfect season, fårikål (literally, “mutton-in-cabbage”) is another very traditional dish (it was voted our “national dish” in the 70s and has lots of fan clubs around the country). A typical way to end a meal would be a simple bowl of fresh strawberries or raspberries with liquid cream and a drizzle of sugar, or red currants with a sweet vanilla sauce. It’s actually hard to find red currants in shops, but everyone seems to have a bush in their garden. For a different sweet treat, lefse is a great classic [a soft flatbread made with potatoes, flour and cream], but it’s usually served with mid-morning or afternoon coffee, not as a dessert. If you make it, by all means eat it with a generous spread of butter and sugar – on its own it’s not very exciting. Nice and simple, although personally I was drawn to the kransekake, or towering ring cake… an almond based dessert of epic beauty used for weddings and other celebrations popular throughout Scandinavia [Recipe]. Give me a slice of kransekake, a cup of tea, and that way-up-there Norwegian sky? I’m good to go. Special thanks to Mette and Samantha for their bountiful Norwegian food inspiration. The menu and weekly giveaway will be up tomorrow! Maps and flag courtesy of CIA World Factbook. I can’t wait to see what’s on the menu! Great post and absolutely gorgeous photos! That graduation craziness is called “The Russ”. A right of passage for every Norwegian graduating from high school. It involves challenges, competition between blue and red teams and lots and lots of alcohol. Kransekake is my fav too. Lefse really must be homemade to be fully appreciated. 🙂 Looking forward to seeing what’s in store!! Ohhh finally! The mystery has been solved 🙂 Now that I know the name I found this… http://en.wikipedia.org/wiki/Russ … that’s definitely it! You also need a lefse stick! My grandma has one and it’s used to turn the lefse on the griddle. She doesn’t make it anymore because she found The Lefse Shack in Montana. They make the lefse and ship it to anywhere in the US…then she freezes it so she has it for all the important holidays year round. The language accents remind me of the Finno/Finland-Hungarian Language – which, by the way is from the Arabic. It sounds beautiful – but I can imagine it’d be hard to learn as a foreigner. 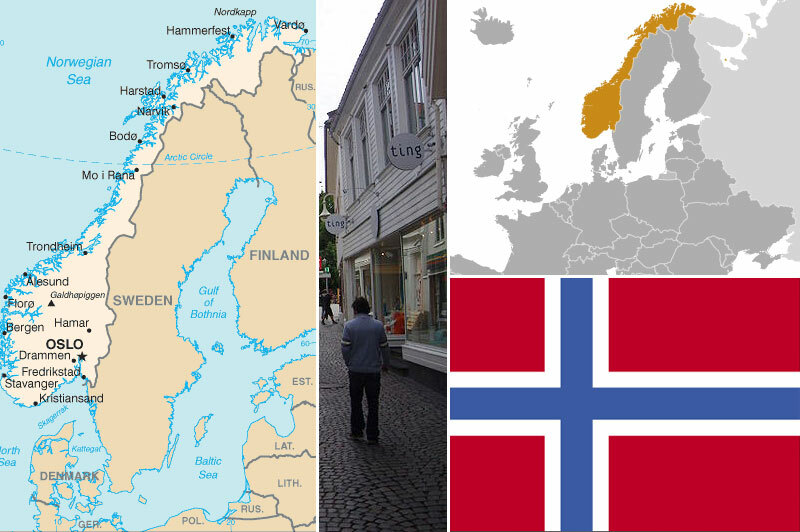 Norway is one of the oldest countries of north Europe but also one of the newest, since it was ruled by Denmark or Sweden from 1380 to 1905. 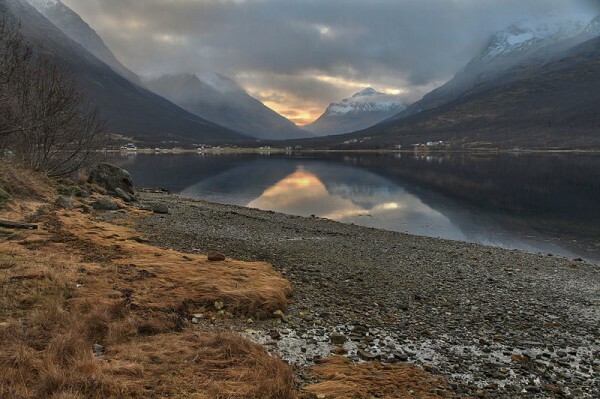 When I was young I had a Eurailpass and did what so many did, took the train to Narvik, then boats and buses north into that remote tranquil Arctic land that is Norway’s north. And here’s some native music, made using a special violin made only in Norway. Very cool – I looked at the menu and I’m guessing “Reinsdyr” is reindeer. how fortunate you were to visit Norway! Its on my bucket list…next to iceland..yay! Those are beautiful photos!! I would love to just see the scenery and eat lefse, which sounds super tasty! Can’t wait for the menu.